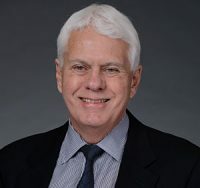 Andrew N. Smith is a Chartered Financial Analyst (CFA) and Certified Director (ICD.D) with over 45 years of experience in the financial services industry. He is a member of numerous boards, including Pro-Demnity Insurance Company, the Auto Sector Retirees’ Health Care Trust, GE Canada pension investment committee, University of Ottawa pension investment committee and Sun Life Global Investments independent review committee. Mr. Smith was a senior executive with National Trust and in 1985 became a partner and co-owner at James P. Marshall, Inc., an investment consulting firm. In 2004, he established a personal consulting practice to assist organizations in achieving their financial and investment goals. A member of the LAWPRO Board of Directors since 2009, Mr. Smith serves on the audit, conduct review, investment and risk committees.